Great Success for Berlin! 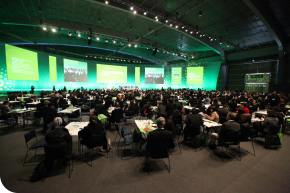 The 7th Global Social Business Summit has been Held in Berlin. Over 1000 participants from more than 70 countries are expected. The annual event was organized by Nobel Peace Prize Laureate Professor Muhammad Yunus and his Creative Advisor Hans Reitz, which gathers experts from private sectors, civil society, governments and academia over a few days of meetings, forums and workshops. The summit is organized by The Grameen Creative Lab and the Yunus Centre (Bangladesh) in partnership with visitBerlin. Further partner organizations are the Yunus & You – The YY Foundation and Yunus Social Business and Culturebrand Architects of Culture. 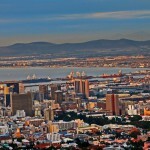 Social business has become an important driver in turning unemployment into entrepreneurship in many countries globally. “We all know about the frustrating situation especially for many young people, who are full of creativity and their capacity to do things, but that remain unemployed. We have started to campaign to redirect their mind from the traditional path of hunting for jobs to creating jobs for themselves and others through entrepreneurship” says Professor Muhammad Yunus. If we think of freedom, creativity and entrepreneurship, Berlin is the global hotspot representing and living these values hence the ideal place to host the 7th Global Social Business Summit. 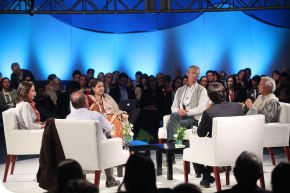 The Global Social Business Summit was the largest international platform where the global community of social business practitioners and supporters gathers each year. 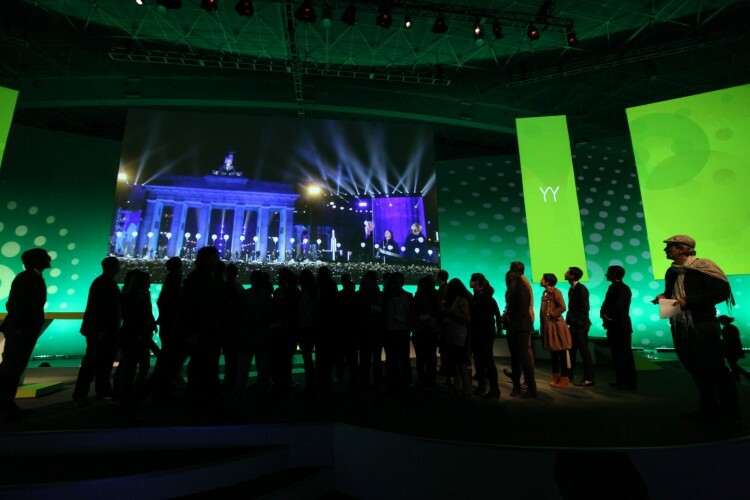 Over 1000 participants from more than 70 countries participated in Berlin to get inspired, discuss, learn and celebrate achievements. Over the past years, Professor Muhammad Yunus has taken the experience and expertise gained from the success of Grameen Bank, to introduce a new business model – Social Business. A social business is a non-dividend company created to solve a social problem. Like an NGO, it has a social mission and like a firm it generates its own revenues to cover costs. Investors may recoup their investment. All profits are reinvested for growth and innovation, or to seed new social business ventures. The annual Global Social Business Summit is the worldwide leading forum for social business to spread awareness of social business and to foster discussions and collaborations for new social business ventures. It was first held in 2009 as an initiative by The Grameen Creative Lab co-founded by Professor Muhammad Yunus and his creative advisor Hans Reitz.